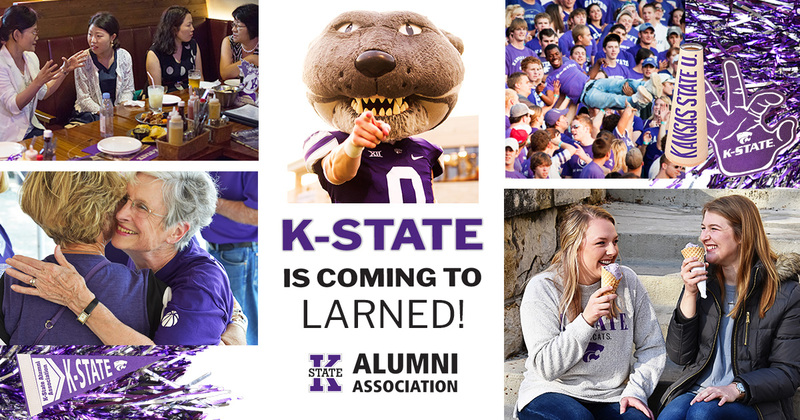 All K-State alumni, friends and local high school students are invited to a K-State Dinner in Larned, Kansas, with the Larned Area K-State Alumni Club. All high school juniors and seniors (classes of 2019 and 2020) may attend for free! Reservations are due by April 11. There is no charge for high school students (classes of 2019 or 2020). By mail: Complete and mail this form (PDF). • Future Wildcats who want to learn more about K-State can contact this area's admission representative: Jordyn Ross. Come to the event and show students what K-State spirit is all about!